That ending especially was a bit of a disappointment. I think this was my favourite episode yet. Stuff seemed to start to happen. 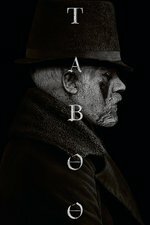 What I'm really enjoying about Taboo though is the way it makes it so obvious that so much in England at the time is tied into making money off the rest of the world. Makes colonialism & its evils really really obvious in a way that isn't often shown in a tv show based in England.